Why its Best to go Green! Going green is best because it is the most convenient and sustainable option that is made available for everyone. The fact that it will definitely reduce bills, green living also reduces one’s contribution of environmental degradation that the planet is encountering today. Also, going green will give you a lot of health benefits and will give you more savings. 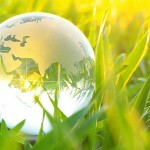 Many people think that going green is quite expensive, but it is not true. Investing in products that are environmentally friendly gives every consumer an extra mile in saving money. Consider the world’s economy and the expensive price of oil in today’s period, and think how it will affect one’s bank accounts. The high bills on oil powered supplier of electricity are nothing but pocket drainers. But, there is a solution for that, and that’s going green through investing on renewable energy. One source of renewable energy is the sun. Sunlight is free and is present all throughout the year. The only problem is how to convert this viable energy source to electricity. Using solar panels to supply energy for homes is a green project that is worthy of investment. The prices of solar panels have dropped over the years and it’s been affordable for many. Plus, maintenance is cheap. All a consumer has to do to maintain its efficiency is to keep it clean and prevent trees from overshadowing them. Going green cuts your carbon footprint. Climate change and global warming has been a problem for the planet for years now, and human exhausts have been the greatest factor of speeding up the changes that the world is facing. And do not blame it on expansive cities with concentrated human population because every individual is responsible for it, even if you are residing in the most isolated part of the country. Every home that consumes electricity generates carbon emissions, but if people invest on renewable energy sources, carbon emissions will definitely take a sharp drop. Solar electricity is safe and green. It does not emit pollutants including carbon dioxide like electricity that comes from power plants generated by oil and coal. Going green can be a source of extra income. Since having solar panels give you free electricity and low bills, the extra supply of energy that the panels produce or energy that house can’t use can be sold to other homes in justifiable price. It is relatively convenient and you can save and earn at the same time. Going green is healthy. Every day, as many of you hear news of people getting sick because of unsafe household products and other personal items. It is about time for people to think twice about where they will spend their money. Going green can cut the carbon dioxide emission and other pollutants released in the air. These carbon dioxide and toxins that enter one’s bodies are often harmful and can give people health risks. Imagine a world free of these dangerous pollutants. Everyone will be healthier and stronger, and solar panels can be the best solution to live a world that is pollutant free.